EYE AND SKIN CARE FOR ALL SKIN TYPES! Apply morning and evening before your day or night cream and massage with a light circular motion. Already immediately after application there will be a sensation of freshness! After 3 - 4 weeks of regular use your client will notice that the skin is feeling softer, more moisturized and looking smoother. 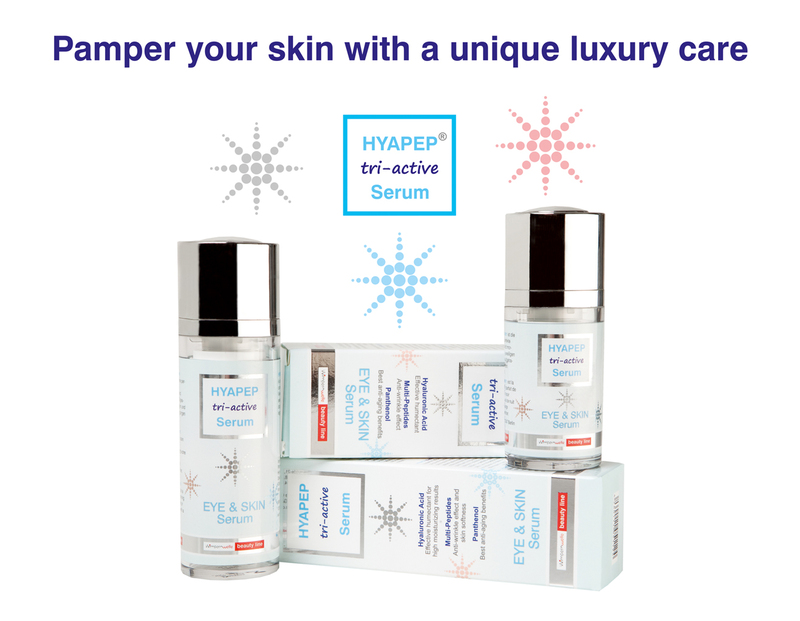 Available in 2 sizes: 15 ml & 30 ml in modern airless dispenser which prevents the contamination of the serum. For professional use: 50 ml for the cosmetic cubicle. Suitable for ultrasound!